How Likely Are You to Get Wasted Drinking Through These Themed Cocktail Menus? I personally don’t need gimmicks to be inspired to drink, but I can see how, in theory, it could make the experience more fun (see: Any Houston Brothers bar). But a new cocktail menu trend in Los Angeles seems to focus on these all-encompassing themes that kinda, sorta, don’t always make the most sense. I’m not talking theme bars but menus like Walker Inn’s Wet (Hot) American Summer. It was timely, sure, but did it really inspire people to drink? Were fans of the movie and Netflix series getting totally sloshed because of franchise loyalty? 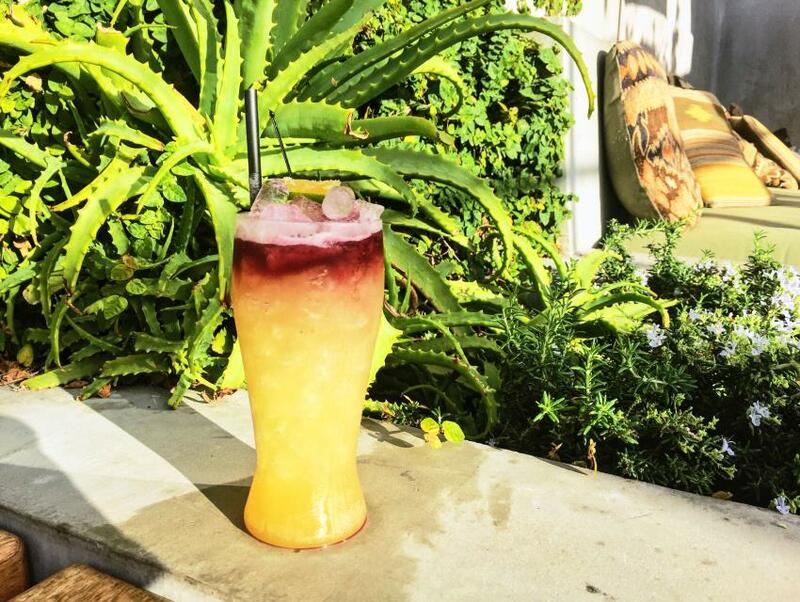 Maybe these themed menus simply serve as a fix to L.A.’s lack of seasons and seasonal ingredients—rather than making an actual Summer cocktail menu, why not just name the drinks after characters from a Summer movie? Done deal. So, in analyzing the themed cocktail menus, we ask you this question: How likely are you to get wasted drinking through these themed cocktail menus? Caulfield’s in Beverly Hills is changing things up, not just with a new chef, new food menu, and new management, but a brand-new signature cocktail menu that pays homage to that often overlooked subject: Hollywood’s Blacklist from the late ’40s and ’50s. The theme here, although provocative and puzzling, is pretty thin. 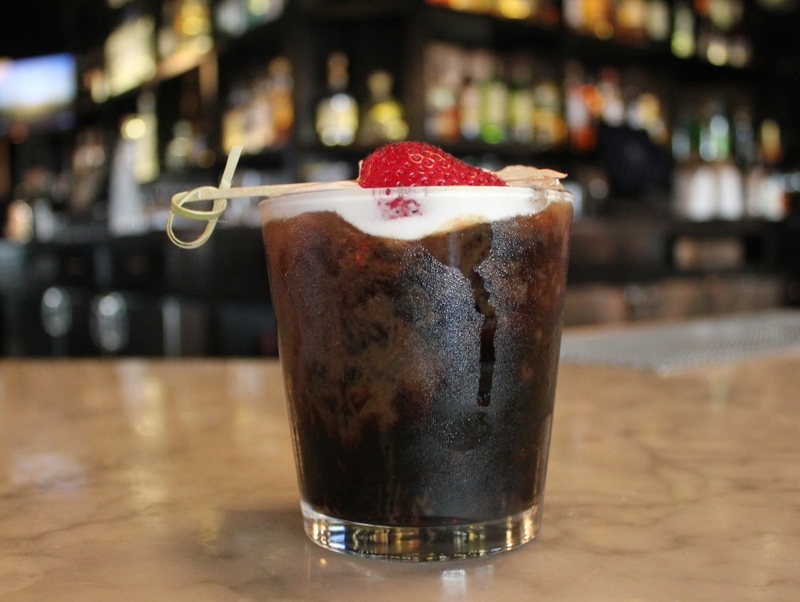 The drinks are merely named after the blacklisted folks rather than actually inspired by them. I mean, what about Charlie Chaplin says zucchini water and Ty-Ku Sake? Even the cocktail menu fails to shed light on the matter. Just that, like Chaplin, its “unique and flavorful nuances has made it a Caulfield’s smash hit.” Pshaw! Nothing really ties the drinks together so you won’t feel compelled to run through the menu. 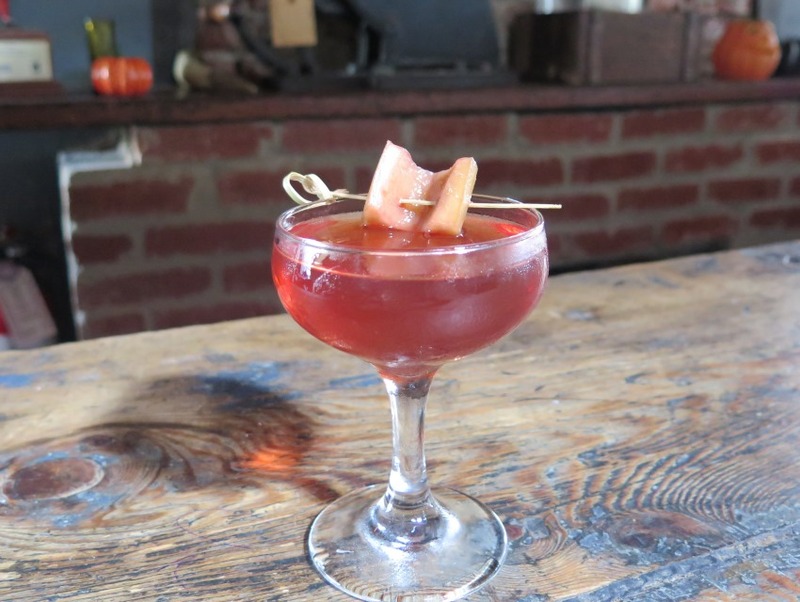 Eveleigh’s new cockail menu, by head bartender Garrett Mikell and team, features drinks categorized by moods. But because the menu is more based on what you’re in the mood for, you’ll most likely pick and choose your libation rather than drink the whole menu. But the choices are still intriguing enough where you’ll want to try them all. Want something “Quick and Cunning”? Go with that Beefeater Gin and housemade tonic. Feeling #ballerstatus? Put your money down on that $95 sip of Van Winkle Reserve 12-year. Walker Inn’s newest menu showcases all things apple, a favorite ingredient of all the Proprietors bars whether it be apple brandy or cider. But the drinks are hardly one-note as, according to bartender Katie Emmerson, they “juice them, clarify them, use them instead of fortified wine, carbonate them, cook them, smoke weed out of them (not really, but the Bong cocktail has mezcal and hops and is served in a hollowed out apple with smoking sage).” The chances of apple overload is nil. These guys are using every tool in their magical bartender toolbox, from infusions to clarifications to hydrosols (distillate), to highlight the fruit’s characteristics in different ways. You’ve never experienced apple like this before. 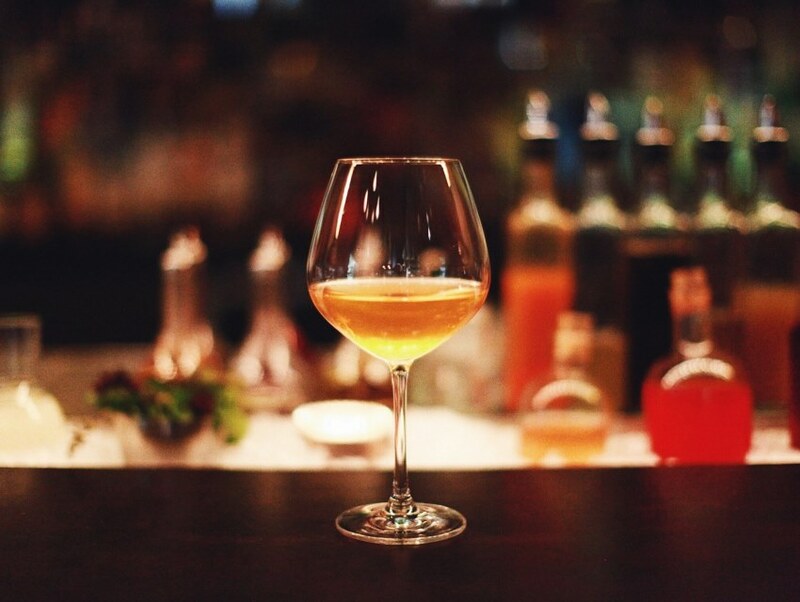 The must-try drink Apple Wine, features a Fuji Apple skin hydrosol, Fuji apple-infused Oeno Chardonnay, AND an apple ice wine, with Amontillado Sherry. “Think orange wine with crisp apple aroma,” says Proprietors LLC’s Devon Tarby. So if you love apples as much as the Walker Inn bartenders do the likelihood of getting your buzz on here is high. On a not-so-random note, did you know there are 477 bird species in the Greater L.A. area? And apparently Upstairs at the Ace Hotel has the best bird-spotting vista in all of downtown. So the Upstairs bar team created a bird-themed seasonal cocktail menu called “Fowl Play.” It’s a really well-thought-out menu, not only broken up into categories of birds (Birds of Prey, Birds of the Tropics) representing a style of drink (“strong, focused, deadly” or “big, bright, colorful”) but named after favorite feathered friends like the California Condor and the Pink Flamingo. So, yeah, if you’re a collector type you’ll get wasted wanting to sample all the different birdies.